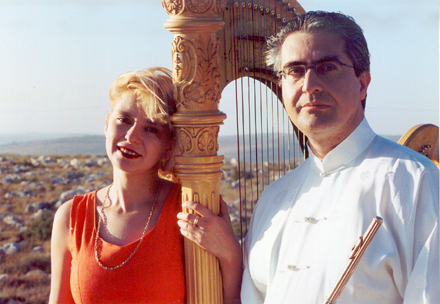 The East Wind Duo was formed in 1995 and has since charmed audiences throughout Europe, Israel, the Far East and the United States. Their unique collection of repertoire takes listeners on musical journeys through Europe, Israel and the Middle East, China, India, Japan, and the United States. In addition they have garnered international praise for their recording and performances of Mozart’s Concerto for Flute, Harp, and Orchestra. In addition, both artists are superb at building a lasting rapport with your community and presenting master classes and workshops. Yossi Arnheim, Principal Flutist with the Israel Philharmonic Orchestra, is a frequent soloist with the Israel Philharmonic and other orchestras in Israel, and performs as a soloist with orchestras such as the South-German Chamber Orchestra, Elbland Philharmonic Orchestra in Saxony, China National Symphony, City of London Sinfonia, Dohnanyi Symphony Orchestra in Budapest, Romanian Radio Chamber Orchestra, Kiev Chamber Orchestra, Cappella Istropolitana. He is frequently presented in solo recitals throughout Israel, Switzerland, Germany, the Czech Republic, Romania, Ukraine, France, Austria, Hungary, China, Korea, Singapore, Brazil, and the United States. Yossi Arnheim is also a very active performer of chamber music in diverse settings, and has played chamber music concerts with renowned artists such as Lynn Harell, Tabea Zimmermann, Jeno Jando and Steven Kovacevich. 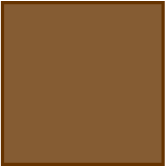 His broad musical horizons include Middle Eastern and Arabic music. In 1997, he founded Sheshbesh, an ensemble comprised of Arab and Jewish musicians, which performs music from the Middle East in a classical format. In addition, he enjoys performing World Music and his repertoire includes Chinese, Japanese, Indian, Georgian, Middle Eastern and Israeli music. 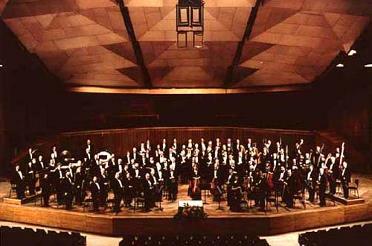 Julia Rovinksy is Principal Harpist with the Israel Philharmonic Orchestra. Born in St. Petersburg (formerly Leningrad), Julia Rovinksy graduated from the Rimsky-Korsakov Academy of Music. In 1988 she won the national harp competition in Moscow. She was harpist with the Philharmonic Orchestra of Leningrad and appeared as soloist throughout Russia. Since immigrating to Israel in 1991 Julia Rovinksy has become a central figure in Israel’s concert scene. She appears frequently as soloist and in chamber music ensembles and took part in many festivals in Israel, including Upper Galilee Chamber Music Days, Musica da Camera, and the International Biennial for Contemporary Music in Tel Aviv. Over the past few years her concert activity included tours throughout the United States, South America, Ukraine, Thailand, and Singapore. She has also released 3 CDs of chamber music. In 2002 she won the prime minister’s award for best performance of Israeli music and was appointed Principal Harpist of the Israel Philharmonic Orchestra in 2003.